A recent Forbes magazine article asked whether Asheville could be “an emerging Silicon Valley.” And while some locals might wonder where the jobs that one might expect to come with such a claim are to be found, there’s little debate about the importance of getting young students interested in science, technology, engineering and mathematics — commonly referred to as STEM — education to foster a brighter future both for them and for this city. That’s the driving force behind an innovative learning center that’s coming to Asheville. 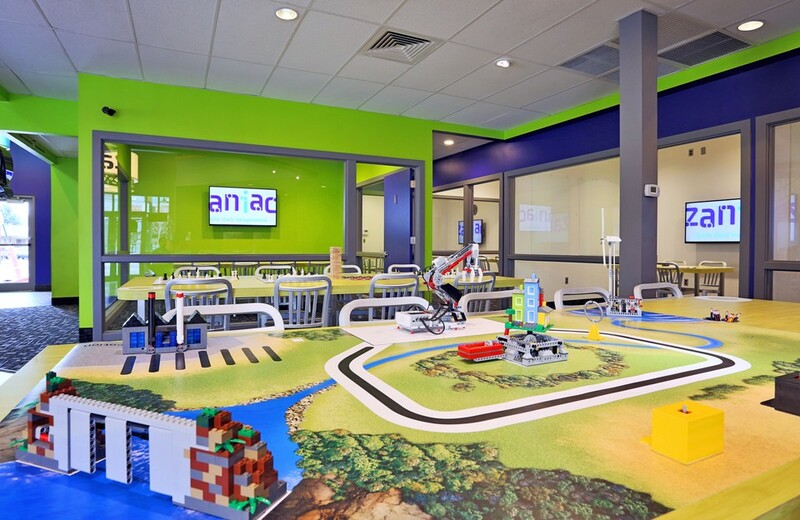 On April 19, Zaniac Asheville, an immersive STEM facility offering after-school programs, summer camps and educational support for students, will hold a grand opening celebration at 1 Town Square Blvd. in Biltmore Park. Using “game-based learning” featuring popular video games like Minecraft; an interactive, hands-on learning environment; and passionate young instructors, Zaniac aims to break down traditional stereotypes about STEM learning and foster a curriculum and atmosphere that excites, engages and, most importantly, delivers results to students and the wider community.